Wyoming leads the nation in post high school technical certificates earned by Wyoming residents and Wyoming Community Media (WCM) will be adding to this trend. WCM in collaboration with Laramie County Community College (LCCC) is developing a community-based experience which combines teaching with hands-on experience to produce informational videos, podcasts, photo essays and other transmedia versions for nonprofit organizations. According to an article that appears in the Wyoming Tribune Eagle, a report released by Complete College America Wyoming had the highest proportionate number of residents earning long-term technical certificate that boost careers and result in higher wages. CCA is a non-profit organization based in Washington D.C.
Post high school certificates are issued after short term or long term and coursework generally takes less than a year to a year or more to complete. While the report finds that the greatest benefit came from completing a long-term certificate, the WCM – LCCC video production certificate will likely start out as a short term program. Additionally, growth in community colleges is projected to happen quickly through the new “Skills For America’s Future” federal program that develops stronger partnerships between private sector and community colleges with an additional 5 million associate degrees awarded by 2020. WCM plans to create “production teams” of six to 10 individuals who will learn as they experience preproduction – working with a client, writing, location scouting; production – lighting a scene, setting sound, operating a camera; postproduction – editing and distribution. Who can participate? Primarily, the course will be set up for residents who may be displaced from the labor force – either unemployed or underemployed – and current members of the labor force who want to learn new skills or augment existing skills with digital media arts knowledge and experience. The work won’t consist of tedious projects, rather, projects that will be used by local non-profit organizations to tell their stories. For more information respond by commenting on the post. Wyoming Community Media (WCM) is developing a project in the New Creative Economy. WCM has partnered up with Laramie County Community College (LCCC), Wyoming Lifestyle Magazine (WLM) Media in the Public Interest (MPI), the Public News Service – Wyoming (WPNS) and a variety of Cheyenne community and economic development organizations with the hopes of teaching students how to use digital media arts as a way for the private sector can better tell their stories. 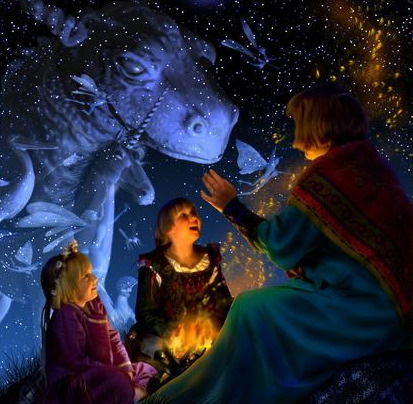 Storytelling is an art that involves creative and critical thinking, not a bunch of rules of structure. Stories well told mold the structure. Stories have been told for centuries to convey information create relationships with others and be more empathetic to others. Stories haven’t changed much, but the ways they are conveyed have multiplied over the years. This day and age information flies at the speed of light around the world via TV, YouTube, Radio, TV reporting about YouTube and print media catering to a variety of niches. As a result of the info explosion, Institutional wisdom isn’t as important as it used to be. In the not-so-distant past, the wise sages who held information and experiences of community or a business in their heads were revered. These days, that’s not the case. The wisdom of crowds prevails – Google, Wikipedia and user groups are kings. If a company wants to sell goods or services and want to get a consistent message out there, one way to do that is through “transmedia storytelling” (TMS). A strong transmedia strategy means stories remain connected by the same main narrative and theme. Each entry point presents the story natively, in a way it does most effectively, rather than re-purposing the story for multi platforms. What kind of stories are we talking about? Any long or short form genre – documentary, commercial, narrative, journalistic news, essays, blogs. 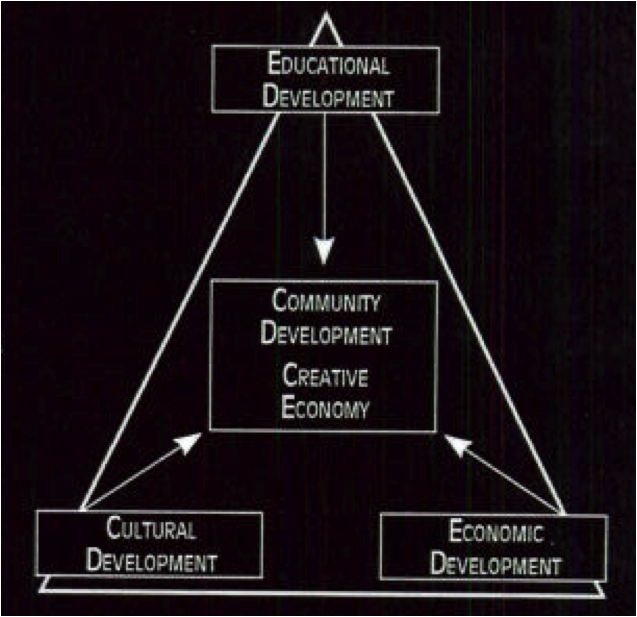 In the current case, Howard Major, and Maryellen Tast of LCCC wrote about a Creative Economy community development model in their white paper, Cheyenne at Stake: Comprehensive Community Development For the 21st Century (2009). WCM is developing in partnership with LCCC an alpha-level curriculum that will bridge digital media and traditional media. People will be trained to work with and within local non-profit organizations, reporting cultural events and private for profit businesses develop stories to sell their goods and services that will be presented initially through these transmedia portals – Wyoming Lifestyle Magazine hard copy, Wyoming Lifestyle Magazine web TV, Community TV on Bresnan channel 22 and more traditional news and information distribution through Media in the Public Interest and the Public News Service – Wyoming. Local residents learning new skills for existing jobs, reinvented skills for entrepreneurs and potentially new residents moving to Cheyenne to ply their digital media arts skills in new jobs represent economic and community development components of the project. Will this model replace journalism? Journalism is an overlay to storytelling. It isn’t designed to be a replacement, although KQED PBS in San Francisco is using TMS to tell science and nature stories in photos, TV and for education. Over the couple months, this project’s story will come together.